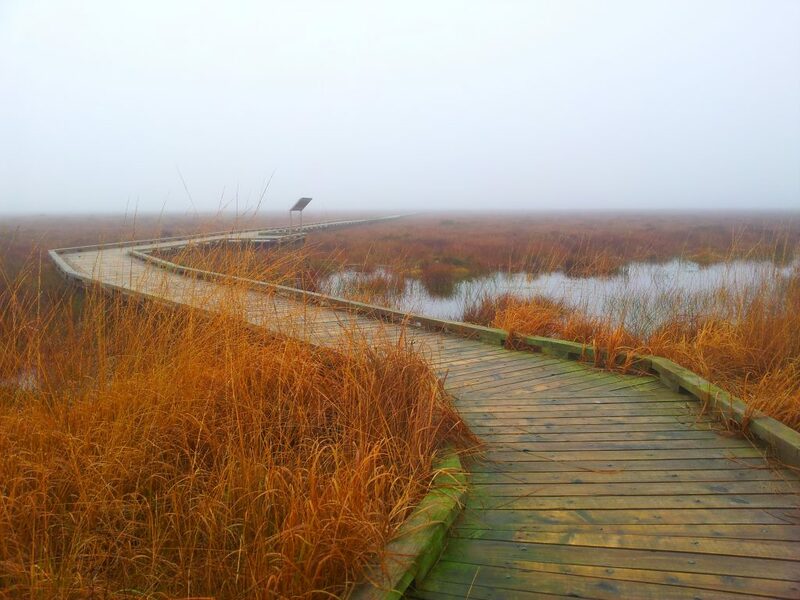 There are visitor facilities at Clara Bog, with the SAC well served by an award-winning Visitor Centre and a hugely popular boardwalk that brings you from the cutover right out to Active Raised Bog. 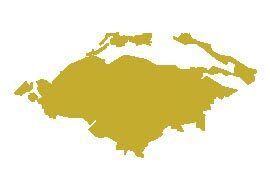 Clara Bog is a living bog and should be respected as such. It is a naturally wet environment with many concealed dangers such as deep pools and quaking surfaces. It is recommended that visitors stay to the viewing points of the boardwalk. The 1km looped timber boardwalk on the west-side is hugely popular with locals and visitors alike, and is peppered with information boards. There are many points of interest for those with a keen eye. Depending on the time of year visitors can see an abundance of flora and fauna. In 2016, a breeding pair of curlews could be heard and observed in the distance from the boardwalk. Visitors can see the ‘insect-eating’ round leafed and oblong leafed sundew and the butterwort from several points of the Boardwalk, and up to a hundred attractive plants can be viewed at various times of the year making regular visits essential for nature lovers. 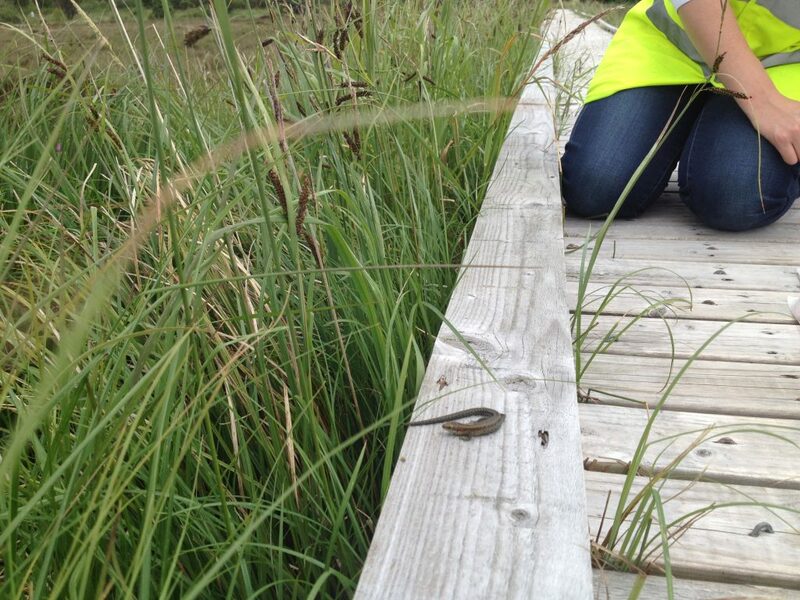 Many the visitor has seen Ireland’s only native land reptile – the viviparous lizard, sunning itself on the Boardwalk. Newts, dragonflies, damselflies, butterflies, caterpillars, and frogs all make regular appearances. Listen carefully and you will hear the curlew, snipe, stonechat, willow warbler, meadow pipet and skylark. Some of these birds are seen at regular intervals as you walk along the Boardwalk. The site is also a host to Birds of Prey including Kestrel and Merlin. As with any outdoor activity, dress appropriately. Please leave Clara Bog exactly as you would with to find it. We also strongly urge those with dogs to keep them on the boardwalk, or on a leash. Dogs have disturbed curlew in the past and although this may seem a small thing, with only 150 breeding pairs in Ireland in 2015, they do need to be left alone. A limited quantity of car parking is available on both sides of the road at the boardwalk. Alternatively visitors can leave their car at the Visitor Centre car park and walk to the bog, which is 1.5 km from the Centre. However, a section of this walk has no public path so please exercise caution. 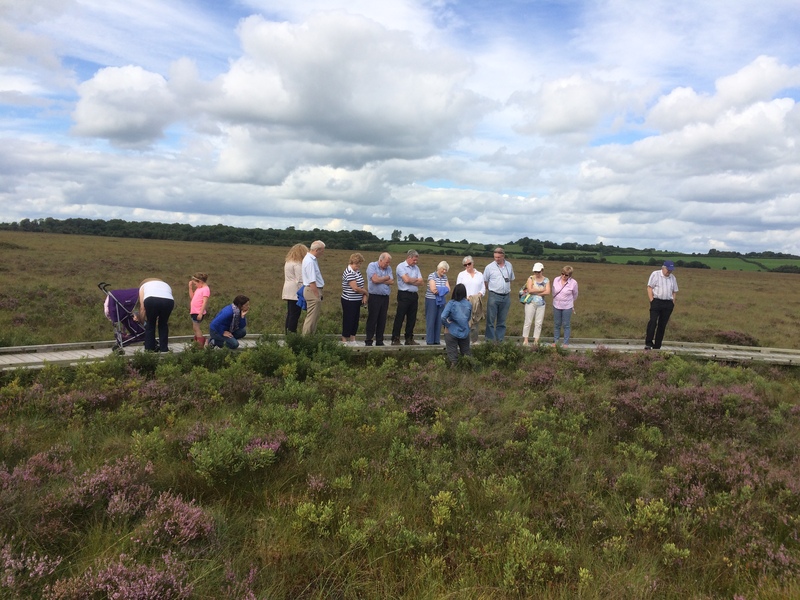 Clara Bog Nature Reserve and its Visitor Centre are managed by National Parks and Wildlife Service of the Department of Arts, Heritage, Regional, Rural and Gaeltacht Affairs.